New polling by Survation for campaign group We Own It shows that only 17 per cent of respondents want to keep privatised railways, compared with 40 per cent who want to see the whole network in public hands and 23 per cent who want to see some franchises brought into the public sector. The survey was conducted in response to comments made by Labour’s shadow transport secretary Michael Dugher that ‘[railway] privatisation was a mess, it was botched.’ Individuals taking part in the survey were presented with this remark and then asked what they would like to see happen to the UK’s railway network. Most voters from all political parties supported some form of public ownership, with the strongest support for full public ownership coming from UKIP (47 per cent) and Labour (46 per cent). Since privatisation, average rail fares have increased by up to 22 per cent. Meanwhile, protests have been organised in 34 railway stations up and down the UK to highlight the cause, with the participation of the Transport Salaried Staffs’ Association, the Campaign Against Climate Change, Bring Back British Rail, Action for Rail, the People’s Assembly Against Austerity, and We Own It. 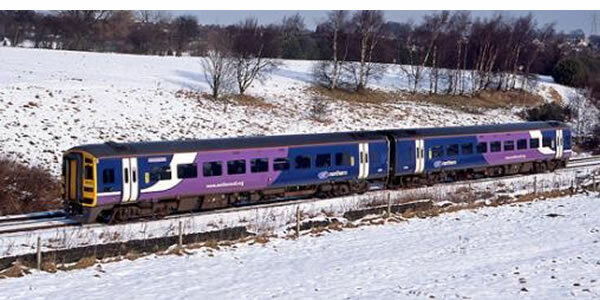 The second day of action, April Fools’ Day, will mark the 21st anniversary of the founding of Railtrack, the corporate body created to manage rail infrastructure under privatisation, which was liquidated in 2002. “The next government needs to break with the old privatisation model of the 1990s that has failed to deliver. Passengers are frustrated with sky high fares and crushed carriages, and many feel that a halfway house option just isn’t good enough. A study by the TUC-run Action for Rail, who are taking part in this week’s campaign, found that savings of £1.5 bn could be made over the next few years if the railways were brought back under public control. Experts predicts the most severe hung parliament from 7 May. TORY / LABOUR, which means Tories will rule forever. Labour by itself or even with SNP cannot rule UK parliament by sufficient MPs gained in general election 7 May. The poor include 97 per cent in work or poor pensioners, poor disabled / chronic sick / terminally sick declared fit for work and dumped onto ever sanctioned unemployed benefit. The poor massively outnumber all other voters, especially in voting areas where the sitting Tory or Lib Dem MPs got slim amount of votes that got them into the job in 2010, against the number of poor voters. The parties of the poor are getting nil media coverage in national press or TV news. Yet by denying MPs from Tory and Lib Dem marginals throughout the UK, but especially in England, and winning MPs into UK parliament can bring about an unassailable anti austerity UK government, that shuts the Tories out of power. A group of parties, beyond just 2 in coalition, reaching the threshold beyond 323-326 MPs, can rule the UK parliament. WHO ARE THE PARTIES OF THE POOR? getting nil anywhere in national media. with the aid of part or entirely privatised councils. Cornwall has single figure votes gained by sitting Tory or Lib Dem MPs. Mebyon Kernow running in all Cornwall voting areas, yet the Cornish do not know their own party exists. Anyone who recalls British Rail would laugh at this as the nonsense it is..
It’s not a load of rubbish. It’s the reporting of an opinion poll, and most people don’t like the privatised, expensive chaos we have at the moment. As to service, I regularly used the deprivatised East Coast line that was recently handed over to Virgin. It was perfectly satisfactory and did better than Virgin in a recent Which? consumer survey. The fact is that the government was doing just fine running a line, before the Tories pushed it to another company who’ll under-perform. Madafish, how many railway shares do you hold ?